If you are using Dlink.router internet service provider then you need to do the first time installation procedure to make it work. after doing this configuration, only you can browse and use the internet. here I have mentioned the configuration.which needs to do from your side in your computer. If you can see the modem then connect the modem wire (RJ 45 Ethernet connector) to your WiFi router. You can see the Incoming connection which will be marked in different color, so there is only you need to connect your cable from modem. 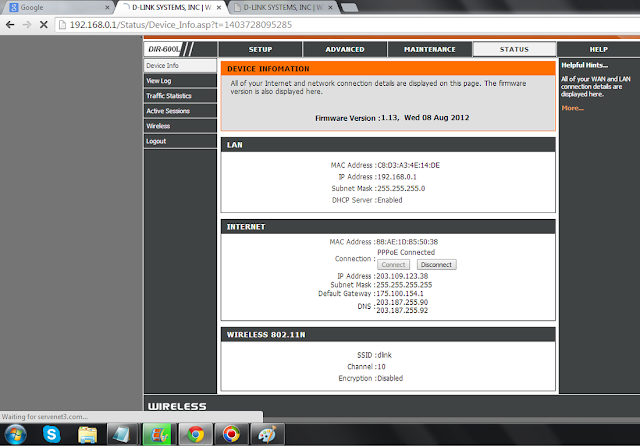 Assuming you are using 4 port router. Then connect the second ethernet cable from any of the 5 pin wire to Ethernet connector of your laptop. You can observe the blinking LED at Ethernet port of your laptop where you have connected the cable coming from the router. If it is not blinking then There are possibilities of some error. Now open the internet explorer or one of the browsers which you are using. 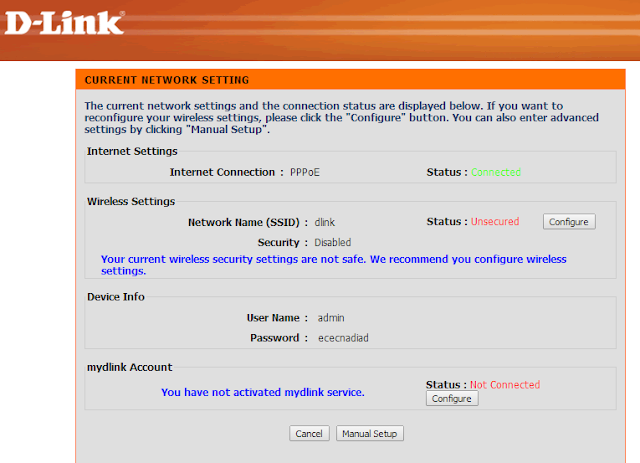 Once you open it will direct you to default page of Dlink. Login using the default username and password. The default username is admin and password are also admin. Now There are two configurations you need to do. 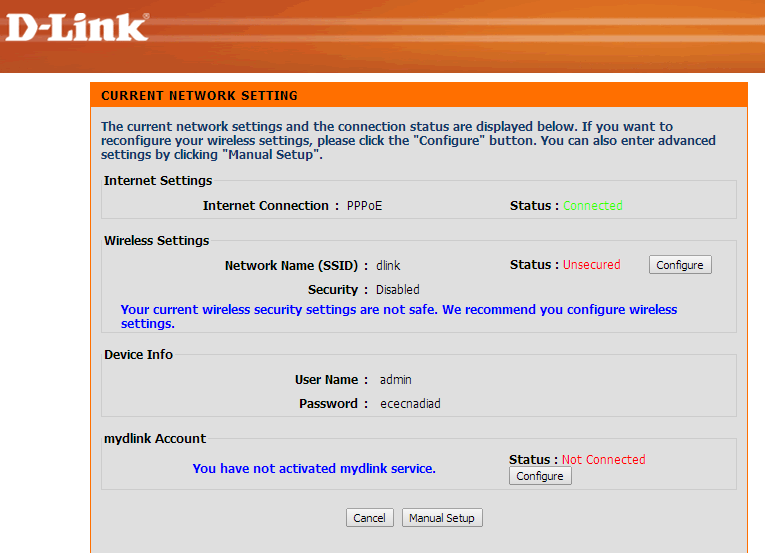 You need to configure the wireless setting & internet setting. Internet setting is required to configure the internet connection to the service provider. Which will validate your username and password which is given by service provider? If you don't have that username and password then you need to contact your service provider. To use the internet from your mobile or tablet using the same internet connection, Wireless configuration is required and needs to set. You can set the password of your convenient, which need to enter while connecting from your mobile or tablet or any other wireless supported device. Once you set both the configuration, press the save changes. Now restart your Wi-Fi Router or Press restart button. Try to browse any site, hope it will work. You can see LED blinking if it is working.